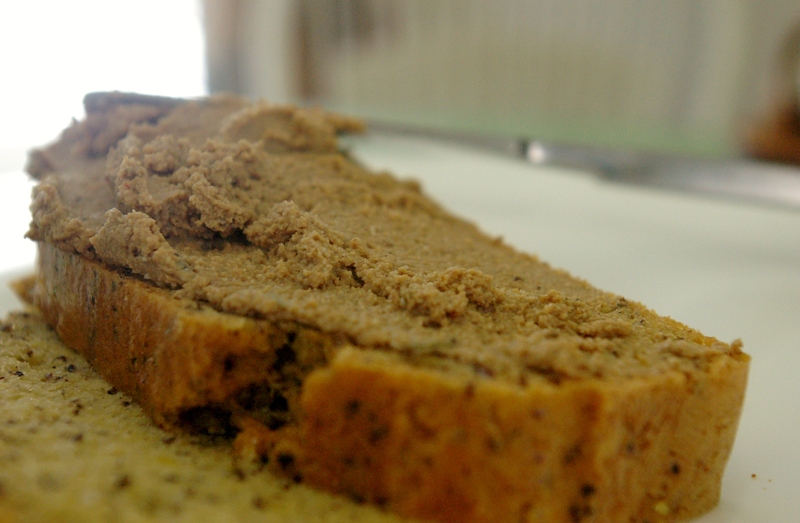 I was so excited with the end result of this pate, it was my first time ever making it. Besides the fact that offal is usually a little more cost efficient, it is nutrient dense as well. I started out as a research queen writing health blogs for my dad. The Weston A. Price Foundation was one of my favorite sites and sources of information. They rave about the benefits of liver and high vitamin butter. So if I can, I try to put in liver at least once a week if not more. I was so pumped to leave the market yesterday morning with a bag of local pasture-raised livers and hearts. To add to my excitement, Dr. Sharifi brought me some bread she’d made from the Wheat Belly cookbook (I would make a few tweaks to this). 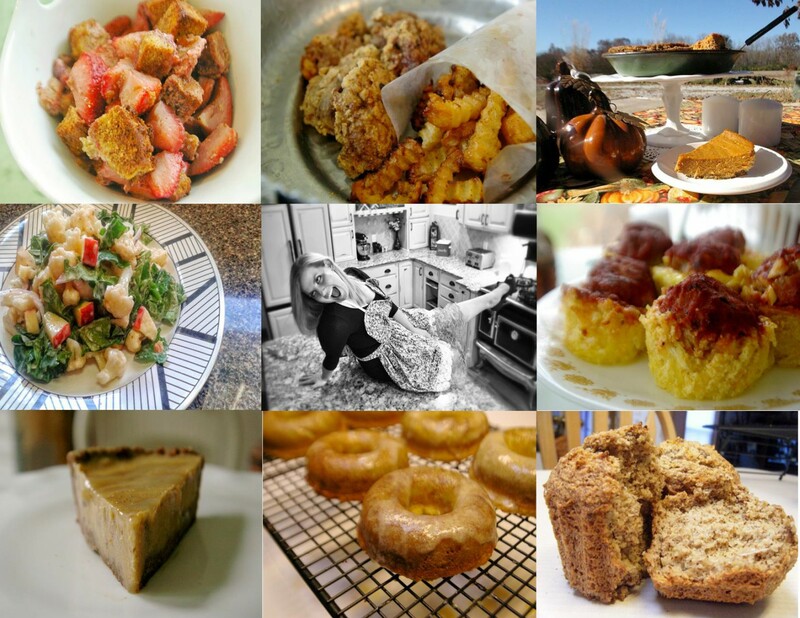 I haven’t thoroughly discussed it, but I think it’s kind of obvious that I eat Gluten-Free. Besides all the research I’ve read on it, I also have a family history of Celiac’s Disease, so cutting it out seemed like a no-brainer for me personally. If you want to learn more about it, Wheat Belly is a great source of information. Watch this clip of Dr. Davis to get a little hint. 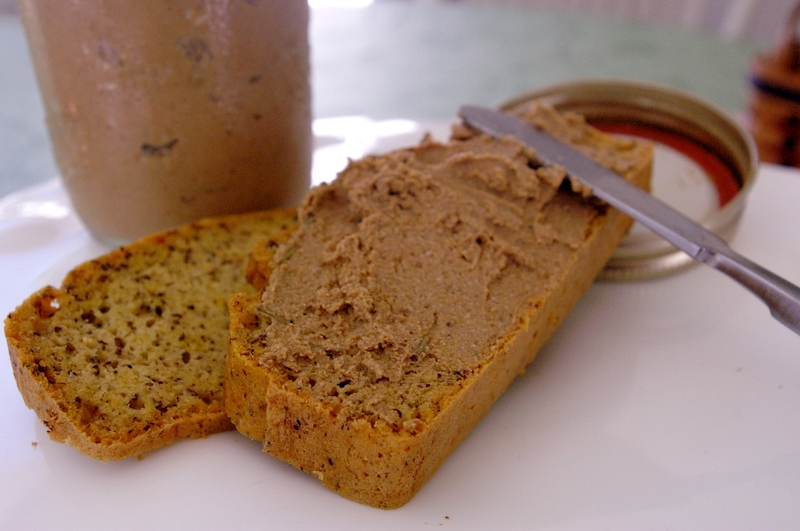 This pate turned out so creamy and delicious! I’m going to try it on celery too because I like to use just regular plain whole foods and vegetables a lot of the time. If you’re wanting to try offal or liver give this recipe a chance. To Make: Bring livers and broth to a boil. Lower heat and cook through, about 8 minutes. Meanwhile brown your onion in a skillet. Strain, but keep 1/4 of the broth for later. Put all your ingredients in a food processor and puree. Serve on Gluten-free bread. To Make: Preheat oven to 350. Process flours, flaxseed, ,baking soda, and salt. Pulse. Add egg yolks, ghee, milk, and stevia. Keep pulsing until well-blended. Beat eggs whites in a separate bowl until peak form. Add to the processor, pulsing until the whites are distributed. 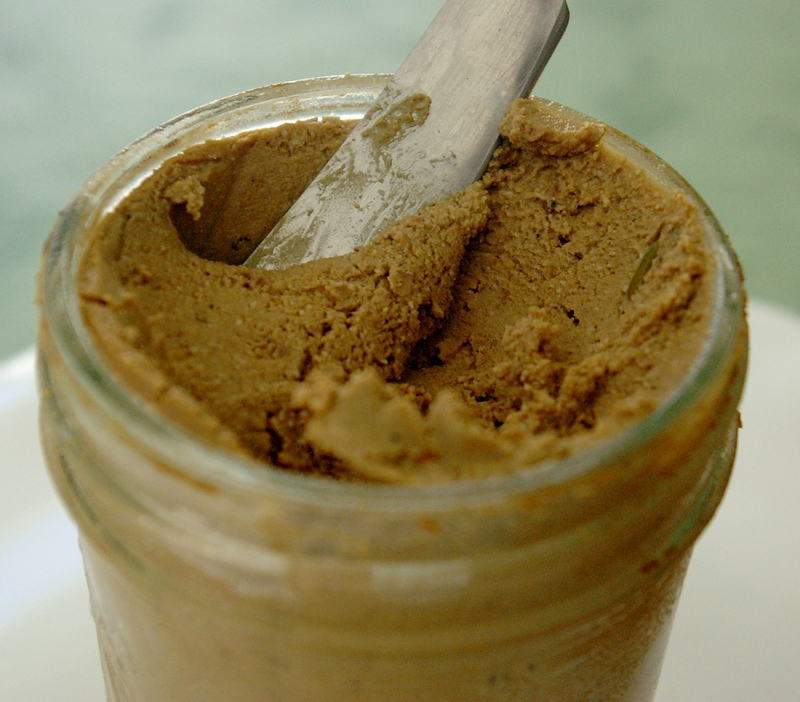 Spread into a greased loaf pan. Bake for 40 minutes.